NEWARK, New Jersey -- Eyewitness News is learning more about the passenger who was killed when one New Jersey Transit bus hit another in Newark. 49-year-old Jesy Garcia of Newark was riding on the bus that was t-boned on Friday. Authorities say she was rushed to the hospital, but died several hours later. The grandmother of three was on her way to work. "She was a hard worker, got up every day, 6 days a week to work," said family friend Jasmina Bosnjakovic, "She got up at 5 a.m. every single day to go make an honest living and to come home and live the simple life." 17 people were hurt, and several remain hospitalized. 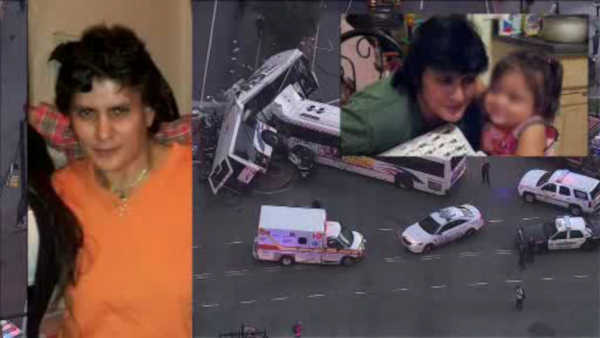 The other bus, which had no passengers, was driven by a 27-year- New Jersey Transit veteran. The driver, 70-year-old Joseph Barthelus died in the crash.